LeBron James had another monster performance in Game 6 to help even the NBA Finals and force a Game 7 back in Oakland. After the game, James took a moment to salute Craig Sager during a postgame interview. Sager, who is battling terminal cancer, is working his first NBA Finals after TNT and ESPN reached an agreement to let him switch networks for one game. 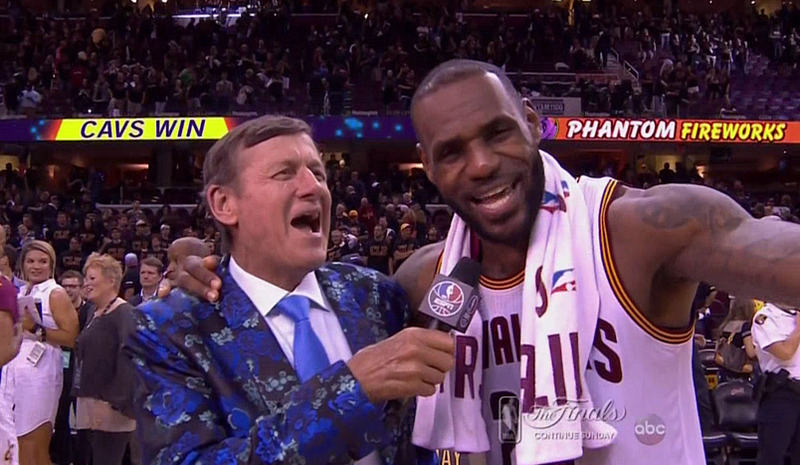 During the postgame interview, James paid respect to Sager.